Welcome to the Sew Fabricated Longarm Rental Program! 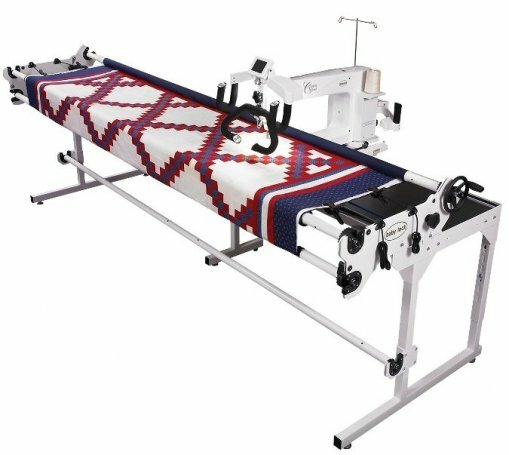 We understand that there are quilters who want to complete their own quilting using a longarm quilting machine, but may not have the space or funds to purchase their own machine. Our longarm rental program allows you to rent time on one of our two Baby Lock Crown Jewel longarm machines… and finish those gorgeous quilts! Longarm quilting machine rental allows you to make your quilt completely from start to finish. Other benefits include learning new techniques and achieving continual improvement and increased satisfaction. Each renter is required to take the Sew Fabricated Longarm Certification class. This hands-on class includes six hours of instruction with a maximum of four students (two students per machine). Students will be taught basic longarm machine operation, how to load and unload a quilt top, stitching simple free-motion quilting patterns, and working with pantograph patterns. Our certification class fee is $125. Go here to sign up for our certification class. 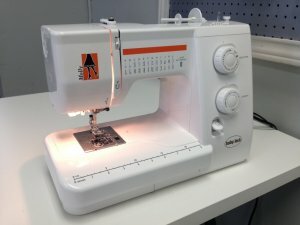 For those who may not have a dedicated creative space or just need a few moments of escape to sew or finish a project, Sew Fabricated offers the use of eight Babylock Molly domestic sewing machines, tables, chairs, ironing stations, and cutting tables. 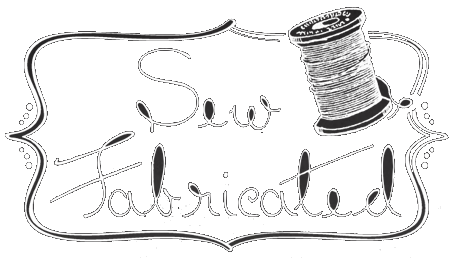 Please contact Sew Fabricated at (817) 795-1925 to reserve the use of a machine. The cost for use of a machine and the studio is only $10 per hour. Minimum rental period of one hour. Rentals are calculated in one hour increments, so use of space for 1.5 hours will be charged at 2 hours. Machines may be rented anytime except when a class is scheduled. Rental does not include private use of the studio. Studio rental is for independent use and is unassisted. Rental time must be during business hours.